You are here: Home / Proposal Manager / What is a Bid Manager? What are the roles and responsibilities of the Bid Manager during the proposal development process? 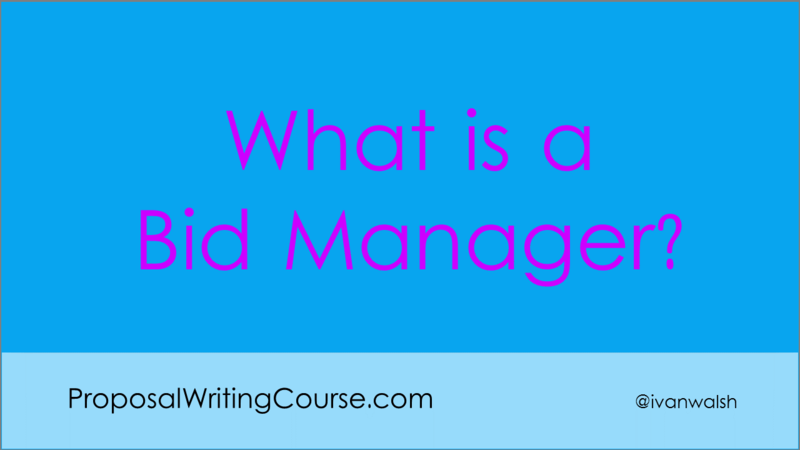 The Bid Manager’s role is like that of the Project Manager on an IT project. Their role is to coordinate the team members, analyze the Request For Proposal, allocate resources, define the schedule, keep the deliverables on target, and ensure that the proposal is submitted on time. Proposal Team Roles and Responsibilities: What is a Bid Manager? Developing and writing task order proposals. How proposals are scored by customers. What are the biggest mistakes that Bid Managers make? Please share your thoughts in the comments sections.